Log in to your Sadlier Connect™ account with the username and password provided to you by your teacher. 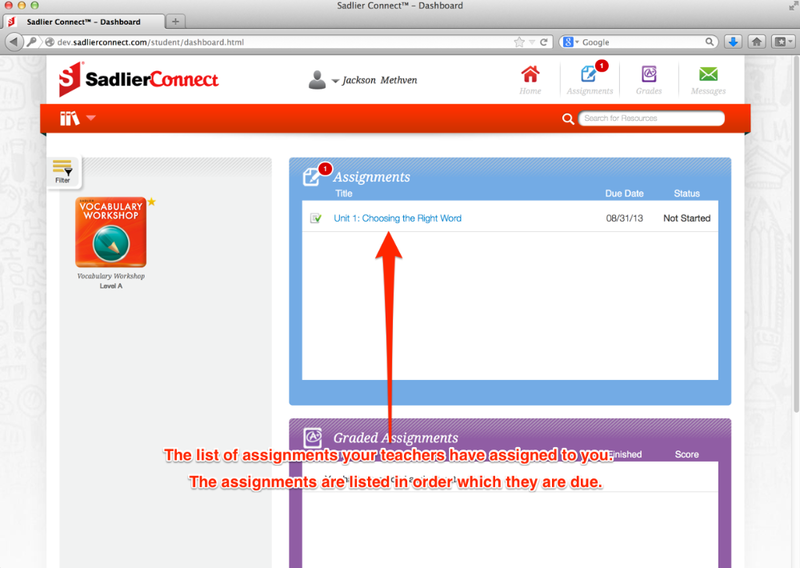 You can find your assignments in the assignments pane from the student dashboard. All of your assignments will be listed here. The assignments are sorted by due date.